Hey friend! It’s Jess. 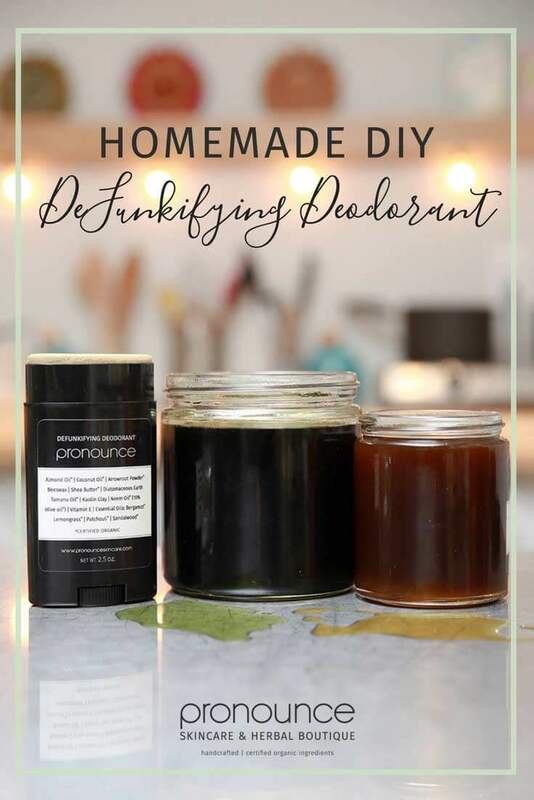 Today I’m bringing you a new DIY skincare post… one that *many* of you have been requesting for quite some time… DeFunkifying DIY Deodorant for Sweaty Armpits! The response to my previously published non-toxic DIY deodorant recipe has been overwhelmingly positive. 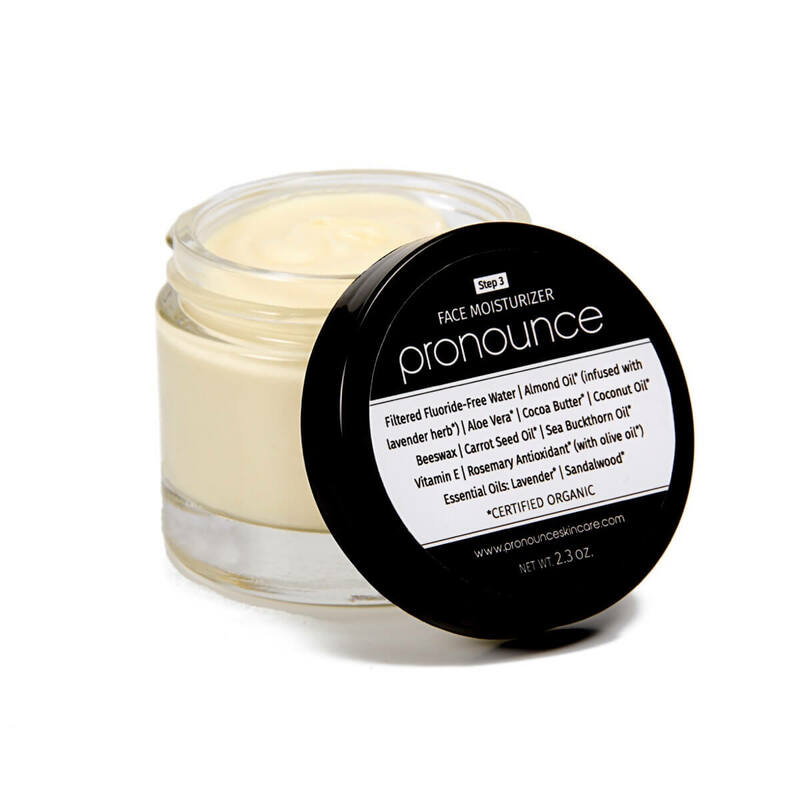 I have had hundreds of people whip up a batch, as well has hundreds more purchase a deodorant from the Pronounce Skincare shop. As you can see, reviews have been extremely positive! I have sensitive skin. Using Pronounce’s deodorant for 2 weeks, I have smooth underarms… (the lifetime of red bumps— gone). I did not know this was possible! Ummmmmm, I’ve tried every single deodorant to try and find something that isn’t toxic AND actually works, without any luck. Finally I found Scratch Mommy’s blog and discovered this; it’s amazing! Works all day, doesn’t cause me to break out into underarm lesions, and I’m so over the moon excited! Thank you Thank you! 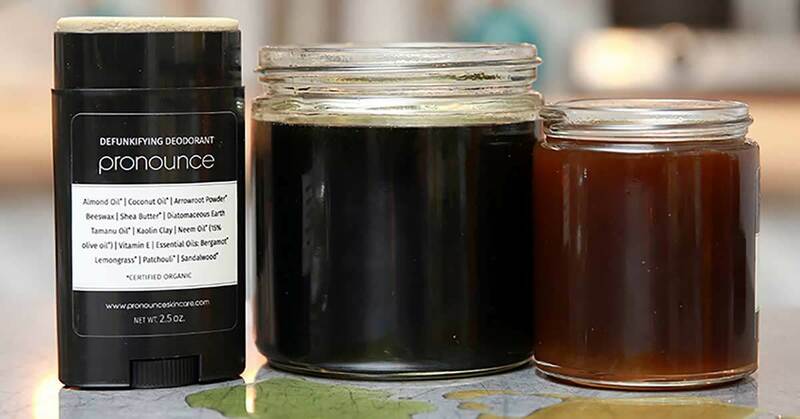 My DIY deodorant works for the vast majority of people… BUT, I’ve had a small handful of people say it didn’t work as well for them as they hoped. How long did you try it? Please give it more than a few days. With any personal care product change, your body will need time to adjust. Have you done an armpit cleanse? Here is a great process for detox. When those questions have been explored, it’s also pertinent to think about diet (what you put in your body can come out in funny ways, even through smell). And sometimes, you truly do just need something with a bit more oomph. I had a customer LOVE my non-toxic deodorant, but he wanted a bit more OOMPH. So, off I went into the laboratory to create more OOMPH for him. DIY Deodorant for Sweaty Armpits AKA Deodorant With A Bit More OOMPH. Not ‘too thick’ and not ‘ too thin’, but perfect for a standard deo container …and packs a bigger punch, but is still gentle enough for our sensitive, sweaty armpits. This creation has been tested by multiple customers, friends, and family. It has undergone FOUR recipe tweaks. It has been well-tested and is ready for the world. 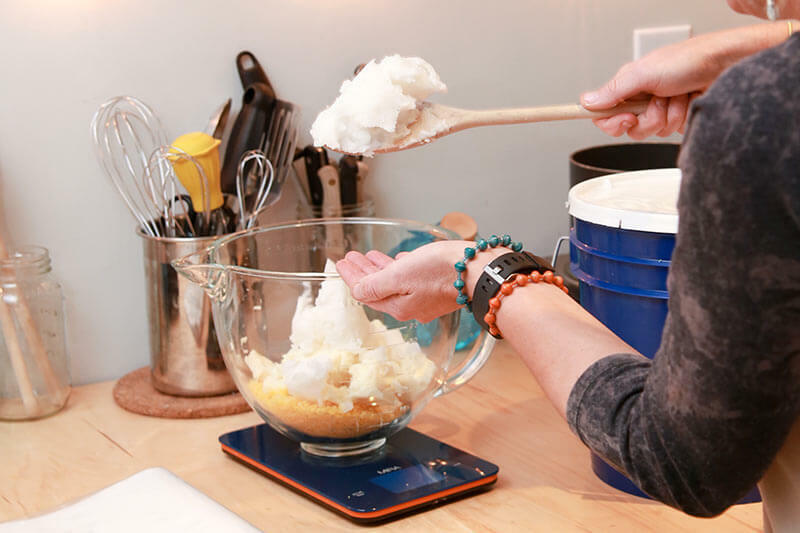 Using an accurate digital scale, measure all ingredients (EXCEPT the 3 powder ingredients, EOs, & vitamin E) into the upper part of your double-boiler. Scoop down on sides as necessary with spatula and continue to pour until all containers are full. This will fill just over 2 regular sized deodorant tubes. I LOVE me some neem oil! Like tamanu, this is another thick carrier oil, with a very, very strong scent. 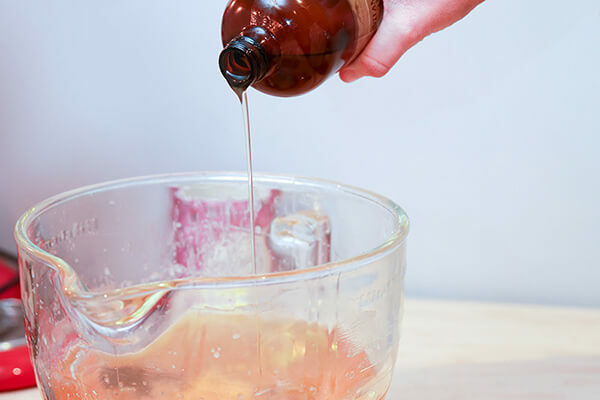 Among many other uses, this oil can be used as a bug repellant (see our DIY bug spray recipe) AND it is antiseptic, antiviral, antibacterial, and anti-fungal. Learn more about the powerful (yet gentle) neem oil here. This is a miracle oil, I’m convinced! “Tamanu oil is a remarkable topical healing agent with skin healing, antineuralgic, anti-inflammatory, antimicrobial, antibiotic, and antioxidant properties” (MRH). This is a thicker carrier oil, which should appear greenish/yellowish in color with a strong scent. The healing properties of this oil truly are incredible, and with such a sensitive part of the body, of course you would want something proven to be healing AND antimicrobial in nature! Finally, make sure that you purchase quality tamanu oil. It is not a cheap oil, so if you see one at a price that looks ‘too good to be true’, it likely is. Learn more about tamanu oil here. Raw, unrefined, virgin coconut oil has wonderful antibacterial properties. Important in those armpits, right? This coconut oil will liquify at 76 degrees; below that and it’s in a semi-solid state. I like to add another oil to help the deodorant stay more fluid, if you would. Enter almond oil. I’ve already written a bit about almond (and coconut) oils here. Of course, you can easily substitute a different carrier oil that is liquid at room temp oil, but I really like almond oil. Learn more about liquid carrier oils here. This is another one of those amazing things that nature gives us. 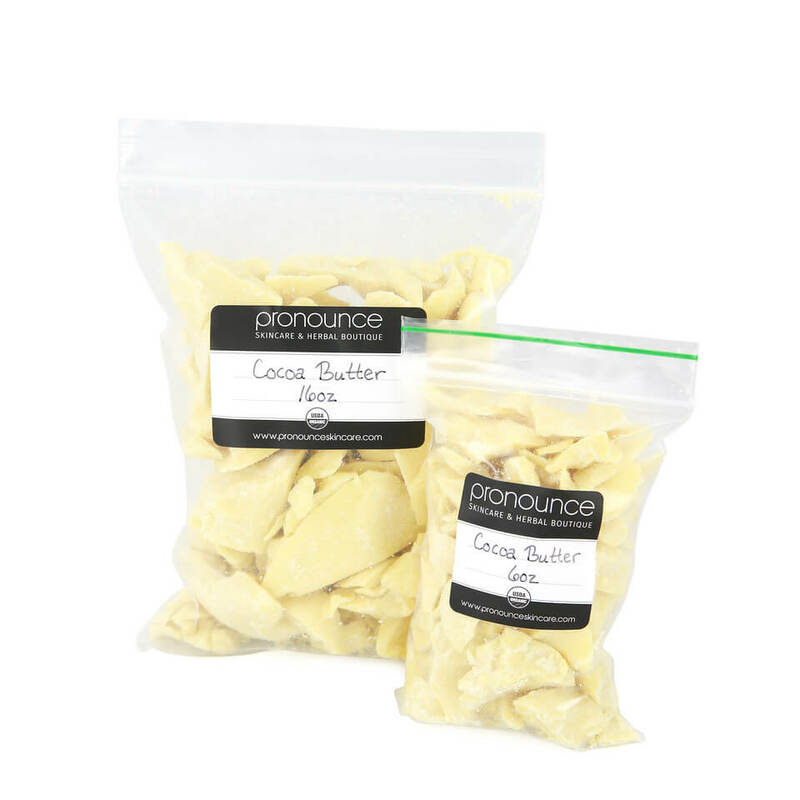 Raw and unrefined shea butter is high in vitamins A and E and is incredibly soothing for your skin. Sounds like a good thing to put in such a vulnerable place, like your armpits, huh!? Learn more about shea butter here. Raw beeswax (all-natural, no additives, etc.) helps to stabilize this recipe so it isn’t runny. 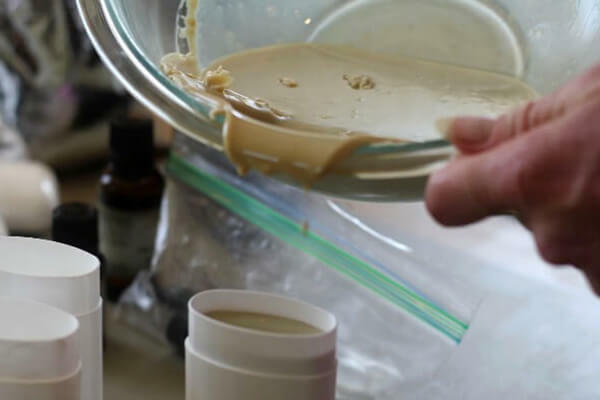 Beeswax is another inherently excellent choice in skincare products, as it does not clog pores, but it does help the moisturizing properties of the butters and oils in this recipe to ‘lock’ into your skin so they can do their jobs. Learn more about beeswax here. This is a go-to for deodorant recipes, for good reason. Actually, I always have some on hand for both food and skincare recipes (like our DIY foot deodorant recipe). Arrowroot not only helps to serve as a thickener in this deodorant, but it also has the power to help draw out toxins. Sweet! Since when we sweat we are eliminating toxins, why not help draw them out!? 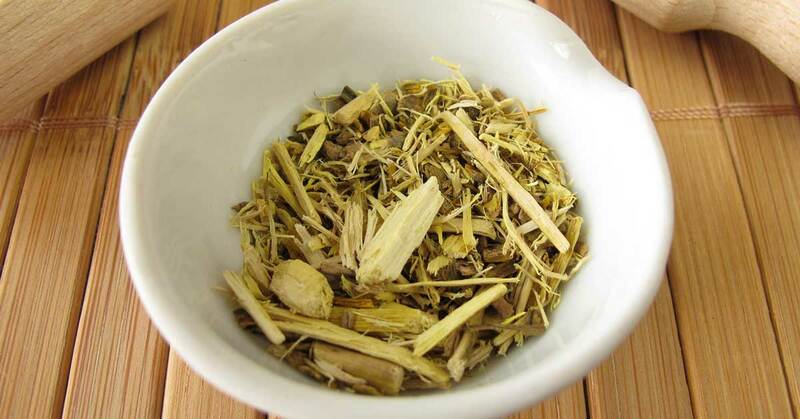 Learn more about arrowroot here. 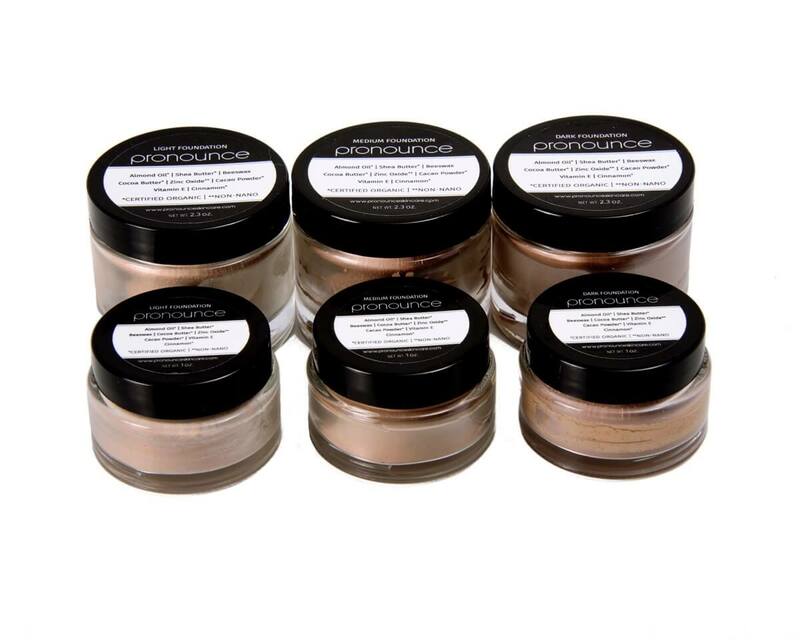 Clays are known for drawing out impurities. No more perfect place to pull out impurities than under our arms, right? 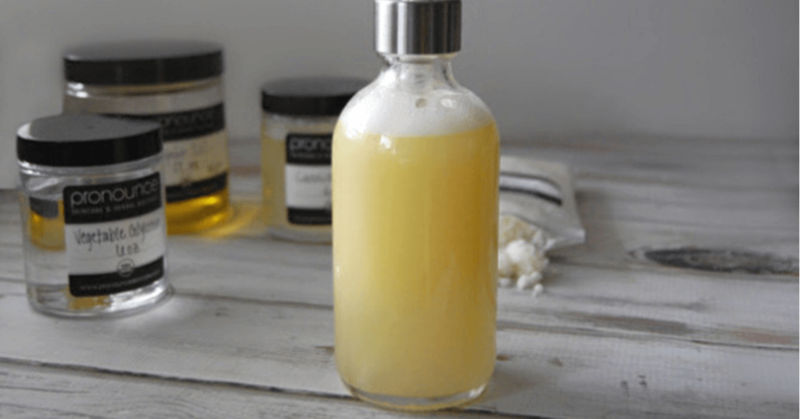 Because we have some super powerful ingredients in this DIY deodorant recipe, I wanted to tamp it down somewhere, but still be incredible effective. Adding such a gentle clay was the go-to answer for this reason. 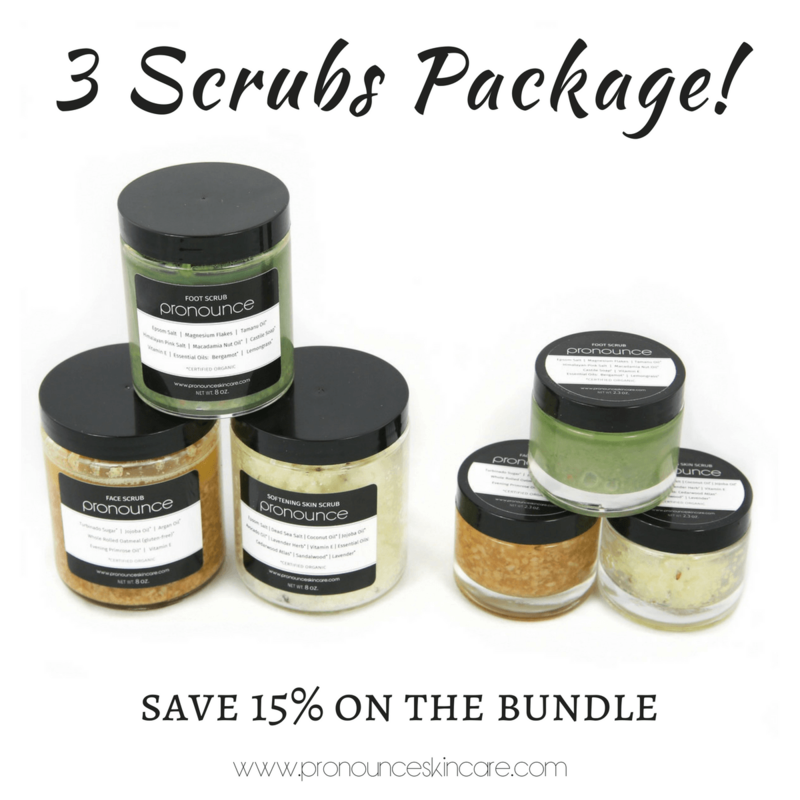 Kaolin clay is one of the most mild clays that you’ll find, yet still super effective. Learn more about kaolin (white) clay here. Here’s where things may really get a bit different than what you typically see in homemade deodorant recipes. Food grade DE is another super thing to keep around your home. I use DE in my toothpaste, garden, once to rid my house of a few fleas, as a means to exfoliate, etc etc etc! DE is almost entirely silica, which is a crucial trace element needed by our bodies, and one in which many are deficient. 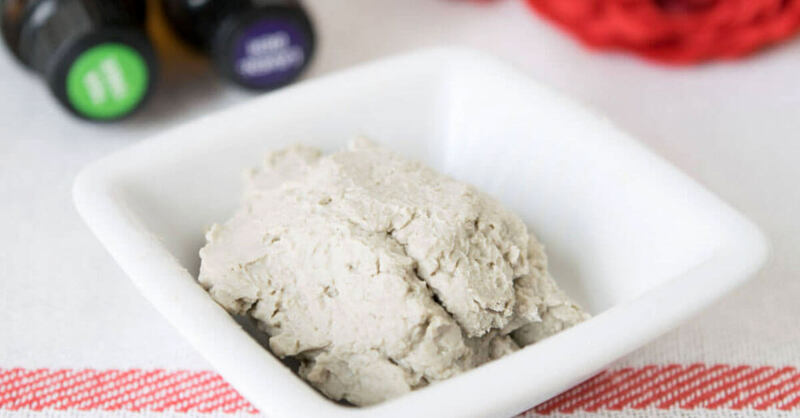 By adding DE into your homemade deodorant, you are giving your sensitive skin a nice dose of DE (essentially, silica) which helps with sensitive areas of skin that might become rashy and it also helps to draw out toxins. So, not only does DE help draw out moisture and remove toxins, but it also helps to ease sensitive skin. Win! You can read more about DE here. Oh, and remember to purchase food grade DE (and don’t breathe it in… best not to get it into your lungs as it is super finely ground stuff). I’ve written a pretty extensive post about vitamin E here. You can grab Pronounce Herbal Boutique vitamin E HERE. These three essential oils are a match made in Heaven. They pair perfectly together! More than that, they both have antifungal, anti-inflammatory, antioxidant, antiseptic, and astringent properties. I purchase the vast majority of my essential oils here. This is a company that I trust, very much. I’m stirring this stuff and it is THICK! Did I do something wrong? No, probably not. This recipe is quite thick, but don’t worry… when in the deodorant tubes it will apply just fine for you (see more below). You might have to sit your bowl back on the double-boiler between pours and whisk it up again. Take a look at the photo below. You’ll notice a film on top… totally normal! Simply reheat on the double-boiler and just stir up to combine again. Can I add different essential oils? Sure, of course! 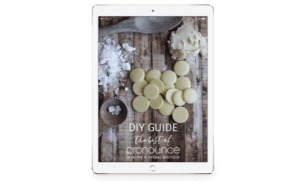 I have selected frankincense, bergamot, and patchouli because… well, they are such a lovely combination AND they actually serve a legitimate purpose in this recipe to keep BO at bay. Also, the neem oil and tamanu oil are both super strong scented carrier oils. If you loathe the smell of neem, feel free to remove some and simply replace the amount you remove with any other liquid carrier oil. Frankincense, bergamot, and patchouli are also strong scented EOs, and they work together to give your new DIY deodorant more of a fresh (but still a bit Earthy) smell. #yummo I would not leave out the neem, though… as it has a very important purpose in this recipe. Compared to my original (fantastic) DIY deodorant recipe, this does have a different texture. My original recipe goes best in a container and scooped out (although, there are comments that it has gone fine in a deo tube). I prefer to scoop it. This recipe goes perfectly in a deodorant container, as the consistency is more solid, quite a bit. It will require a little more work to apply than a normal tube deodorant, but not in a bad or annoying way. It has to be a little more tough, as the extra ‘powder’ materials help with drawing out the sweat and whatnot. Would you rather just buy my DeFunkifying Deodorant? Please, head on over to my Pronounce Skincare Shop where I sell this deodorant. Could you please share your cream deodorant recipe (the one you have to scoop out)? Hi there! You can scoop this one out, but you might be referring to my original recipe deodorant. Hello! Thank you so much for sharing your recipe! I have been scouring the internet looking for what I thought sounded good and I think your’s is it! I do have one question. How strong is the patchouli smell? Unfortunately I loath the smell of it, it’s actually somewhat funny/ironic as I think it smells like old sweat. I’m not sure what frankincense or bergamont smell like but if it’s anything remotely like patchouli this is a no go for me. but I’ve read that neem oil smells pretty darn bad. So I’m assuming it needs something to mask it’s nasty smell or maybe there isn’t enough to notice? In your opinion is the patchouli smell strong? I’m torn on whether to use those ingredients or not as you make a great case to include them. I mean it is just deodorant can you really smell it that much after you put it on? Thanks for any advice you can give!!! Hi Cindy! You can absolutely leave the patchouli out with no issues. But yes, neem is quite pungent so you will need to add some essential oils in. Citrus-y type smells are great for this recipe. Happy DIYing! I have everything BUT the Neem Oil and Mountain Rose Herbs is currently sold out. Can I leave it out or substitute with anything? Also, do all the other ingredients cancel out the smell of Neem? It’s pretty strong stuff. Thank you so much!! Hi Steph! The neem oil is strongly scented, so you could decrease the amount of neem and sub another oil for part of it, but it really is crucial for the recipe to work well. 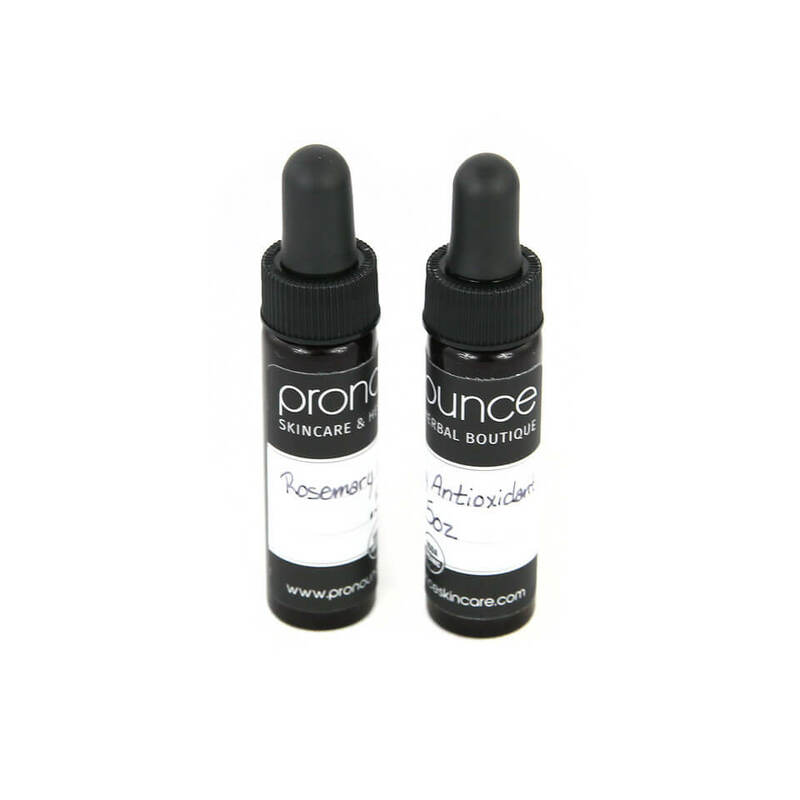 I actually sell neem oil in my Pronounce Skincare shop! My store is located at 615 N. Fairview St. Bloomington, IN…BUT, if you aren’t close to me you can also order neem oil in my online skincare shop. I have two sizes of neem oil you can pick from, and the smaller one will be plenty for you. I love your ingredient descriptions and am excited to get back to my diy life. Shea butter really is natures gift. I even use it in my nose when I have irritation or a cold. It keeps my sinuses moist and relieves a ton of the symptoms. It’s good for so many things. Thanks for your posts!???? Thank you, thank you, thank you. FINALLY something that really works!! I used your recipe and modified it with what I had. I didn’t realize I was out of arrrowroot powder, so used all diatamaceous earth. I used some zinc powder too., Home grown beeswax. I didvided it in 3 parts using 3 different essential oils. The one you said, ylang ylang (can’t stop sniffing my pitts),, and a baby powder one I got free sample (a few second thoughts on that one. I’m don’t think it could be organic – but just experimenting. Goodbye Secret and Dove forever!!! Okay, so I just made this. Holy wow does neem ever stink!! BUT, for some reason, you can’t really smell it once you actually apply this to your skin. I halved the recipe to make only one tube to see if I liked it. And I added some super duper essential oils: 13 drops patchouli, 10 drops lemongrass, 10 drops pink grapefruit and 4 drops lavender. It smells exotic and, inexplicably, like ginger. Again, I’ve only just made it so we’ll see how it holds up. I really love your other deodorant as well, but I thought I would try this for the summer. Plus, my teenage boys are interested in going chem-free so we’ll see if this will work for them too — just with different scents. Thank you so much and I will update this review in a bit. Thanks for posting! I’m always on the look-out for a new recipe. I kinda switch back and forth between Lavilin underarm cream and home-made recipes. WOW THANKS SO MUCH! YOU and this site are AWESOME! Now, I think I might be a sweater more than others because I don’t have to be doing anything to start sweating, but then again, I live in the humid SouthEast, so that probably has something to do with it too. Speaking of the humid SouthEast, I’ve noticed that just like baking at different altitudes, DIY recipes can change subtly depending on humidity and time of year when I make stuff. A tried and true recipe for a salve in the summer becomes a hard balm in the winter unless I alter quantities. It’s a pain to play around with ratios when someone else has gone to so much trouble coming up with the perfect blend, but it’s something to consider. You mentioned above that after detoxing you may experience less sweating. In my case, I’m not so sure about the less sweat, but definitely less stinky sweat! Once I competed the detox phase (took couple weeks for me), I noticed that even if I didn’t use deodorant at all, I wasn’t nearly so stinky as I had been and never the wafting embarrassment I’ve experienced in the past. Also, with regard to the cloth staining some people are complaining about, I wonder if they are wearing clothes that haven’t been properly detoxed? That’s sounds kind of strange but when I came off the aluminum junk, the first thing I noticed was that my old shirts stained and stunk horribly even though, oddly enough, my pits didn’t smell. I’m guessing here, but I’m wondering if the combination of aluminum residue with the natural stuff is causing the reaction? I did read recently that mass market aluminum-based deodorants can stain clothing yellowish but the stains I found were all gray-brownish after switching. I had to do a piece-by-piece baking soda and vinegar pit treatment on every shirt with stains (most of my wardrobe as it turned out) to finally remove the stains. The white shirts never got white again and the vinegar seemed to have caused some dye running on a few, but most the colors came out ok. I’ve since seen diy recipes for removing pit stains with toothpaste or something so I would recommend anyone look those up before trying what I did, just in case. The clothing that ran from the vinegar were the more expensive silks and such, not cotton t-shirts. I wish mine had turned out more like a solid deodorant. Maybe I should have let it cool longer? Would that have helped? I really wanted to love this deodorant but between the strong smell of the neem oil & the pastiness of the deodorant, I wish I had just stuck with your regular deodorant recipe. I made that first & it is more appropriate for the deodorant tube than this one. Wish I knew what I did wrong. Well, cooling wouldn’t really have anything to do with it. I’ve only created the DeFunk in a tube and it works perfectly for me each time, not pasty or too solid. Feel free to pop it out, melt it back down in your double-boiler, and add a bit more of your liquid carrier oil of choice. It’s so hard to dissect DIYs for other people. I wasn’t there, I don’t know what ingredients you used (and the brands, which can make a *huge* difference), etc etc etc. The best advice I can give you is to simply melt it down and add a bit more oil. Once you do that it should be closer to what you expect. OH…and yes. Neem is very powerful and strong stuff (which I love)! Feel free to add more EOs in when you melt it back down. Bergamot is a great choice. Mountain Rose’s description of neem oil states that it should not be used on children. Is this safe in this dilution/quantity for my almost-13-year-old son? I’m never sure how to categorize him: child/adult, for different applications! Thank you so very much for clearing a path for others through the natural, healthy product jungle! Great question! Personally, I would feel fine with it. That said, I’d recommend that you check with a certified herbalist, naturopath, etc etc etc. Can I use Indian healing clay which is 100% calcium bentonite clay? It sounds like that would work, Cindy. If you try it, please come back and let us know how it works! Hi Kat. Great question! Yes, it will…but only to a point. It certainly doesn’t prevent it, as it’s not an antiperspirant. Sweat will lessen, even more over an extended period of time using it, but you will still sweat. You won’t sweat as much, and if you are like me and many others who love this recipe you won’t mind the bit of sweat that you do have. Happy DIYing!!! Hi, I was happy to see this recipe for a diy deodorant stick. But less happy when I found out that when adding up some of the ingredients it already costs A LOT per deodorant stick to make. This is one of the few recipes without using baking soda, for a deodorant stick (since I do not like adding it with my fingers I think a stick is much better). I was wondering if you might know of a recipe for a diy deodorant stick, without baking soda, that will be pretty basic and cheap to make? Hey Lisa. Sorry for my delayed response! Did you already make a batch, and if so…how’d it turn out? I would consider adding about 5% more to make it a bit more ‘stiff’. thanks for the diy.. I’m not a big sweater so i simply don’t use deo but would like to make it for friends and family.. Is there any way to replace the beewax to make it vegan friendly? 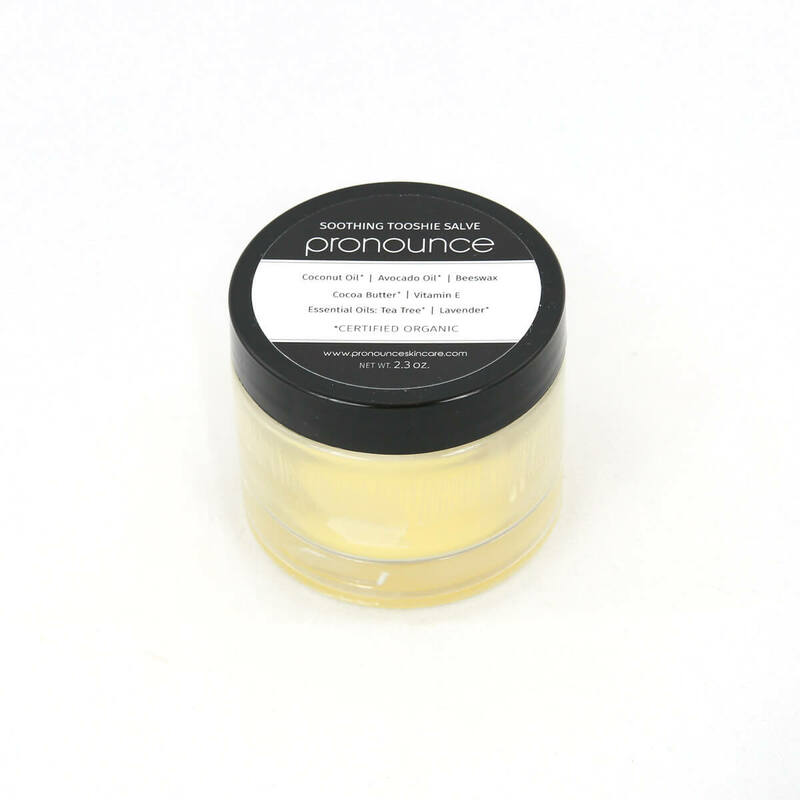 You can try Carnuaba Wax. It is quite a bit harder than beeswax, so you’ll want to decrease the amount of beeswax just a bit. Can this recipe be doubled or tripled? I have 3 daughters I would like to make this for plus my mom and sister. Jessica, i made the de-funkifying deo recipe exactly as written here and I had high hopes for it. It seemed a little dark but I thought maybe it’s only in the container. Unfortunately I got two shirts stained with yellow deodorant and I can’t convince myself to wear it again. Why hasn’t anybody else complained about this? Did I do something wrong? I would like to try the other recipe but now I am scared it will do the same. What do you think? Thanks for an otherwise great recipe! Hi there. I have had a few people mention it being darker &/or staining. I personally have not had this problem, and have had hundreds of happy customers and DIYers, but when making DIYs things certainly can vary from batch-to-batch with different scales, different ingredients, and even ingredients sourced from different suppliers. When I apply I put it on in a very thin layer (not much is needed, at all). I then give it ample time to dry before putting my shirt on. As for the other recipe, again…it works perfect for me and has for hundreds of others. I do know that it is a bit lighter in color, so if you’d like to try, I say go for it. I tried out this recipe a few days ago and I was super excited that I’d be able to use it as a deodorant stick. Like Aliya’s (Jan 18th) mine also turned out darker but maybe because of the clay. I used bentonite because I had it and I couldn’t find Kaolin anywhere. Actually my deodorant turned out dark green, which also stained my clothes. But what actually bothers me most is the soft texture even though I used a digital scale and stuck to the recipe. Jan, can I save the deodorant by adding more beeswax? Also I’d like to dilute the strong neem oil scent by adding more almond oil and more EO. How much of each do you advise? I paid $16 canadian dollars just for 30ml Neem oil. That’s two really expensive deodorants I don’t want to waste. Hi there. Yes, using bentonite would definitely make it darker. As for being a soft texture, I have no idea why that would be. The recipe I have here produces a deodorant perfect for a stick. Perhaps the bentonite made a difference? Yes, you can melt it down and add more beeswax. Hi Cassie. I honestly cannot advocate for the use of artificial fragrance oils. I recommend only using organic &/or wild harvested essential oils from trusted sources who are sustainably sourcing their EOs. Also, the EOs do have a purpose, in terms of providing beneficial properties as listed in the recipe. So sorry I cannot help you with fragrance oil recommendations or tell you that I think it would be as effective, as I do not think it would be. I LOVE this stuff! I really liked the first deodorant recipe you shared but after trying this one I’m hooked. It lasts much longer through the day for me and I love that I can use it in stick form. One question though. I bought the scale you recommended and I love it but in this recipe you have several ingredients that call for 22.5g and 7.5g. How do I measure that amount? The scale only seems to measure whole grams. I’m having this issue, too, and would love an answer. ☺ As of now, I’m just guesstimating. I love this deodorant!! I made and used your other one for more than 6 months. Often, especially when it’s hot out or I’m wearing a fabric that doesn’t breath, I would still be stinky by the end of the day and need to reapply. My man uses it during the summer. Anyway, with this kind, I always smell great no matter what -after exercise as well. I think it lasts multiple days as well. I have becomeused to the sweet smell of the ingredients. I can’t wait to make my own. I only lack a few ingredients! Thanks for all your great recipes. As there are few comments from readers who have tried this, and I value reading those kinds of comments, I thought I would share my thoughts. I really love the texture of this. It’s very soothing. And I love that there is no baking soda. I had a hard time with that in other recipes. I know there was adequate warning in other comments, but I have to say that the neem is so very stinky. I just can’t wear it. It smells like I’m putting some sort of Indian dish on my pits. And I even tripled the amount of essential oils in an attempt to cover the smell. Now I’m disappointed that I spent so much money on all the ingredients and used all of the essential oils on something I just can’t use. I’m hoping to somehow melt t back down and combine it with another recipe I have without the neem so it’s not a waste. I would recommend that others start with half the amount of neem and half of another carrier oil. Thanks for your comments, they are appreciated! 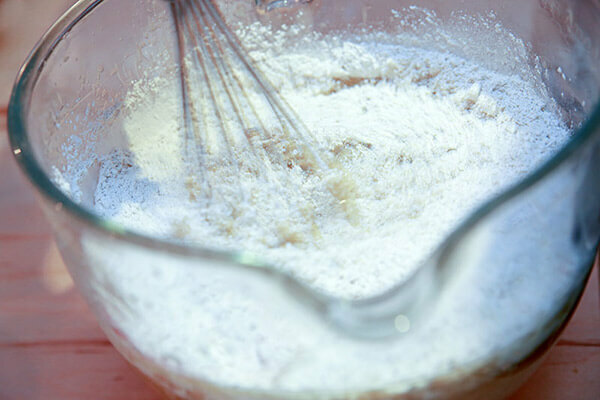 I love that you love the texture and feel…and no baking soda is huge. Also, the neem oil and tamanu oil are both super strong scented carrier oils. If you loathe the smell of neem, feel free to remove some and simply replace the amount you remove with any other liquid carrier oil. Frankincense, bergamot, and patchouli are also strong scented EOs, and they work together to give your new DIY deodorant more of a fresh (but still a bit Earthy) smell. #yummo I would not leave out the neem, though…as it has a very important purpose in this recipe. So, right you are. If you or anybody else opens your bottle of neem and think it is absolutely horrific (I actually love the scent now, but to each his or her own 😉 ), then please make an adjustment and don’t use as much! You can simply add more of another liquid carrier oil to make up for what you take out with the neem. And yes, you certainly can melt it back down! I’m not sure about combining it with another recipe (I have no idea what that recipe looks like, and obviously haven’t combined this recipe with another one before), but you can melt this recipe back down and add more EOs. You can also add a bit more butter and oil (not neem) to make it more pleasing for your nose. Have you worn the deodorant yet? Although it might be a bit strange to smell at first and think about putting on, when you actually do put it on…the scent isn’t nearly as strong as you think it will be…in my experience. Happy DIYing and keep on living the ‘life from scratch’ in non-toxic ways! Thanks for the suggestions. I did read through your recipe as well as all the comments several times prior to making this so I was well aware that there was potential for disliking the smell. And I did of course smell the neem when I opened it. However I wanted to give it a shot as written before I decided whether or not I personally wanted to make changes. I consider myself very adventurous and open minded especially when it comes to DIY beauty products. I was hopeful that, as mentioned, the combination of EO’s would overpower the neem. And perhaps neem is just one of those things you have to grow to love or just hate it. But having read all the great benefits of it, I wanted to give it a try. I just think next time, I would either omit it or use much less. Hello! I’ve recently started making many things at home, because my skin really doesn’t like chemicals. One of the things I made was deodorant, but I wasn’t happy with the results. It made my armpits dry and itchy, and while I didn’t stink, my clothes did! Anyway, I ordered the things I didn’t already have to make your deodorant, but I just noticed I did not order DE. Do you recommend I wait to make the deodorant till I have that ingredient, or can I go ahead and make it anyway? If so, should I up the dosage of one of the other powders? Hi Chris. Great question. 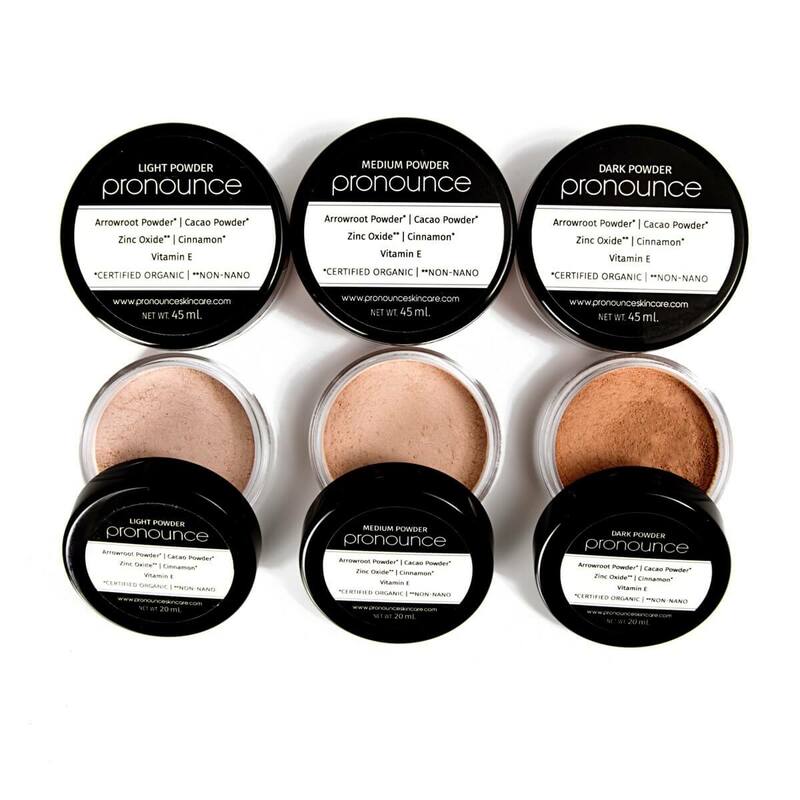 I do find the DE pretty important in terms of effectiveness, but in terms of consistency you certainly could sub in different powders. I would use a clay, as it would have about the same ‘weight’ as the DE. Thanks so much for your previous response! Is Sweet Almond oil the same as Almond oil? Yup, you’ll want the organic sweet almond oil. I don’t have any of the Essential oils listed, I have lemon, grapefruit and lavender. Can I use any of those instead of frankincense, bergamot etc. Also, I only have European Clay and Bentonite Clay. Can I use either of these? Hi there. Thanks for your kind words. <3 You are in the right place for learning to DIYS a healthy you! Yes, and yes. Those EOs all sound great, as does a different clay. Here's to getting off the clinical strength deo! can you enlighten me as to “still no baking soda” is a good thing? I have tried a coconut oild, baking soda, arrowroot, cornstarch diy deodorant recipe with decent smelling results, but found it oily on my clothing. I think your debunk recipe lookss worth a try! Many people are sensitive to baking soda. Can I ask why you oppose baking soda? And what if the baking soda is organic? I’m just curious. Why is baking soda not a good option for a natural deodorant? What if the baking soda is organic? Baking soda can be irritating for people with sensitive skin. 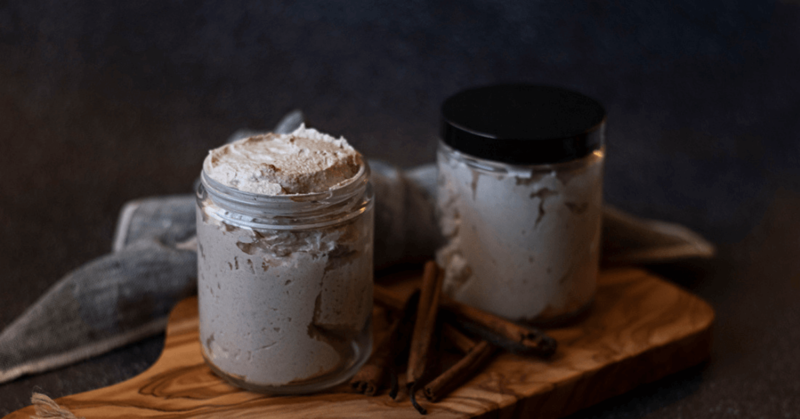 I´ve been browsing your blog (and since then, trying out many of your incredible recipes:) because I´m looking for a natural deodorant that is stronger than the typical baking soda/arrowroot powder recipes. My armpits can handle baking soda just fine…but they still stink a bit at the end of the day. How can you compare the effectiveness of your deodorant to a baking soda based deodorant? I find both of my deo recipes to be very effective. For extra sweaters, I’d go with this one (the DeFunk). It will rival any baking soda recipe. Could you use Cocoa Butter in this recipe instead of the Neem Oil? Or would it not liquefy enough for the recipe? Just wondering because I do not have Neem oil but do have Cocoa Butter. Hi there. Unfortunately, no. Cocoa is a butter, while neem oil is a carrier oil, so it would drastically change the recipe texture and function. Sorry! 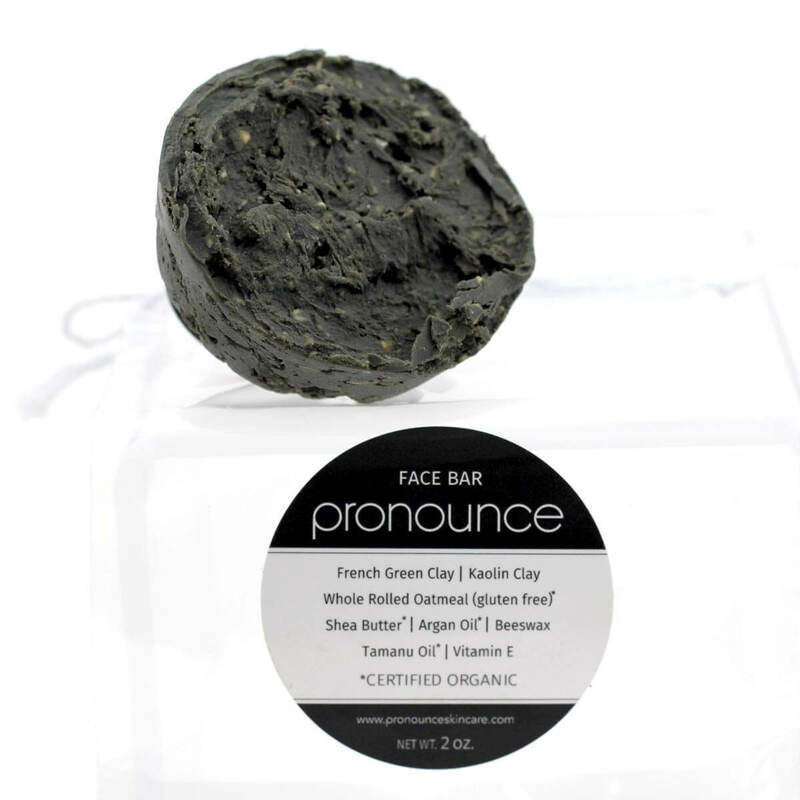 Love your site .. make many of your healthy and wonderfully scented products .. quick question .. can I use Bentonite clay in place of the white clay – just because I have it on hand? I’m very sorry to hear about your liver disease. 🙁 Keep on keeping on with your non-toxic lifestyle! I believe you could sub that! If you try it, let me know how it works. First off, I love what you do! You’re quite the inspiration for me with all these recipes. I’ve tried making quite a few! I tried making this deodorant, but it came out smelling way way too strong, darker than yours, and pretty soft. It’s pretty much too soft to apply with the deodorant stick. I’m so sad! I was super excited to try this one too so I doubled the recipe. Yikes. Any suggestions on making it thicker and less smelly? Thank you for your kind words. <3 Hmmmm...did you change any of the ingredients? Amounts? Sub anything? Remove anything? If it's soft, it doesn't sound like mine. Perhaps a bit more beeswax and more essential oil. You could also (next time) use less neem oil and add in more of another (less 'stinky') carrier oil to make up the ratio. Although, the neem is super important in the recipe. Hope you can get it to work for you. I am wondering if there is a substitute for D.E.? I haven’t been able to find food grade and I really want to try out this recipe. Try your local farm or feed store. I get it at Tractor Supply. It is usually with the chicken supplies, as it is wonderful for them both internally and externally. Hello, thinking about ordering this deo, but I wonder how hard it is to rub on? Sometimes natural deodorants are so hard it scratches and irritates my armpits. Does this spread on softly and easily? Thank you! I don’t find it scratchy at all, Sara! It does get somewhat hard when it’s cold, but it’s not difficult to scoop out or apply at all. So glad i found your website! Deodorants are the one DIY body product I have not been able to do successfully. Like many others, baking soda gives my pits painful ugly rashes. I ordered DE and now can’t wait to try this. Neem oil is stinky in my opinion but works wonders. The alternative is Karanj oil, I believe it’s the same family as Neem but doesn’t smell as strong. I came upon your website via pinterest while looking for natural makeup options. First of all, THANK YOU, THANK YOU, THANK YOU for generously sharing your recipes with us!!!! I was very excited to see this particular deodorant recipe, because I sweat a lot (more than my husband), and often have a problem with BO, no matter what commercial deodorant I use. Also, I have been on a mission to detoxify my life 🙂 I did some research, though, and came across some concerning information on neem oil. It apparently has contraceptive qualities??? Now this is a problem for me, because I am (hopefully) not finished having children. Have you come across any of this information? Is there a suitable, safer substitute for women who are pregnant or who wish to conceive (and who are heavy, smelly sweaters like myself)? Thanks for your note and your kind words. 🙂 The only studies I have read re: use of neem during pregnancy involve ingesting the oils…in large amounts. If you have questions about this I would advise that you chat with your herbalist, doctor, etc etc etc. Another reader mentioned using karanj oil in place of neem, but I am not familiar with the oil, at all. Hope this helps. Happy DIYing! What do you suggest in place of tamanu oil? I have everything else, just received my order for kaolin clay and the eo’s last night, excited to try this one, for my son, especially!! love your recipes!! You can sub any liquid carrier oil in place of the tamanu…but, if you can get your hands on some it is UhMaaaZing stuff! I’ve been dying to try your deodorant recipes! I have a question though. Do these help with sweating? I don’t get BO, I just sweat a lot. I want to stop using my deodorant with the aluminium in it, but I know that aluminum tends to help keep the sweating at bay. Ps. I love your blog. 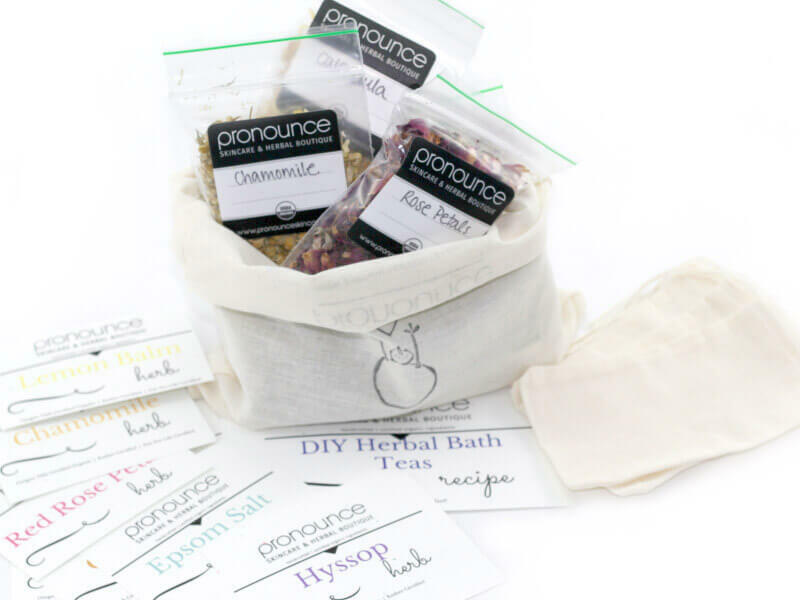 You’re one of my go-to for my foray into the world of DIY products! Hello when will this be available in your store? Yup, it is quite potent! You can decrease the amount of neem and then sub in another liquid carrier oil to make up the amount of neem you leave out. When will this be available to buy in your shop? My son is very stinky. Your original didn’t work so well so I’m excited to try this one for him. Thanks! When do you think you’ll start selling this deo? I’d love to buy some soon! just made my first batch…. and initially when i added in the EOS.. it smelled PERFECT.. but it vanished in like 1 minute and now it still just smells like neem??? using PT eos… i even added like 7 more drops… nothing?.. so… would it still be effective/work with less NEEM and would you just make up the difference with a carrier oil?.. thanks! Yes, indeed…neem is strong, and I’ve really come to love the smell mixed with EOs! 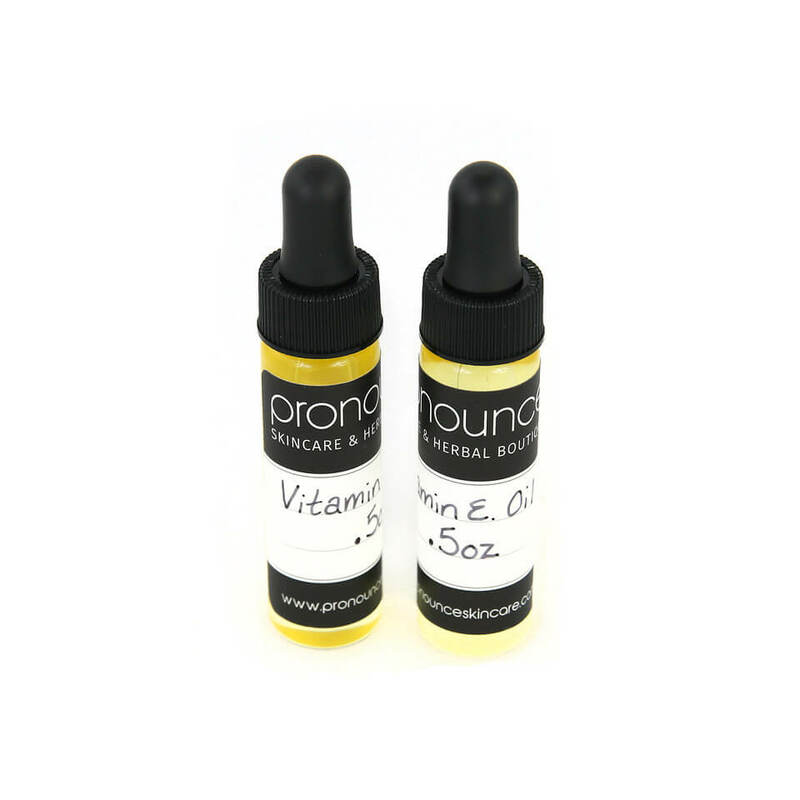 …but, of course…you can add more EOs &/or swap out some of the strong neem with another liquid carrier oil. I always love your DIY recipes. Keep up the good work! This is awesome! Living in Florida means hot weather and well…you get the picture. Can’t wait to try this recipe. Thank you!!! Would bentonite clay work as a substitute for kaolin clay? Love your website! And I hope to be visiting your store in Bloomington around Christmas time. Great question. I believe that it would, although I haven’t tried it. So long as you are referencing the powder bentonite clay form (not liquid form) I would think it should turn out well. Let me know if you try it! I want to try this out however Is there something I can substitute the Shea butter for? My daughter and I are both allergic to it? Great question. Yes, there is! You can use any other butter that is similar in texture to shea…perhaps mango butter might be good? So long as it is a soft butter you can substitute away!! Click the link for shea butter above to see other types of butters you could use (again, just make sure that they are soft and similar in texture to shea). Happy DIYing! Can’t wait to try this! I LOVE your original no baking soda recipe–it’s the first deodorant of any sort that doesn’t give me a rash. It’s smooth, soothing, and it WORKS, even on stinky workout days! Although I really don’t need anything better, I’m eager to try this firmer formula from a deodorant stick applicator. I’m waiting for this to appear in your shop! Want to buy one in Patchouli. I love love looooove patchouli deodorant but oh my so hard to find them! …and yay for your fiancé giving you support. Hehe. Hope you enjoy this deodorant recipe as much as the original. Yay! I just started using your tin deodorant, but i really don’t like applying it with my hands. This is something I would like to try. Will you be carrying it in your etsy shop? Hi! Yay! Glad you like the original deodorant recipe. 🙂 Yes, this one is best applied from a regular old deo tube…no fingers required.